It’s here! It’s available today! I have been waiting for this moment for a long time. There are only a few times in my life where I have stopped and said, “this changes everything.” When I distinctly heard God’s call on my life. When I held my first child. When I lost and then regained my sight. And today. Today, we are launching the Bible App for Kids. Today’s kids love technology—we’re raising a generation of digital natives. At the same time, the church is losing a generation. Kids are not engaging with Scripture and we’re finding ourselves on the verge of biblical illiteracy. We’ve been dreaming of how to close that gap, to figure out how to leverage technology to reignite kids’ love for spending time in God’s Word. So we approached our partner, YouVersion, the creator of the most downloaded Bible app of all time—with more than 100 million downloads–and we worked together to develop a world-class Scripture delivery tool called the Bible App for Kids. 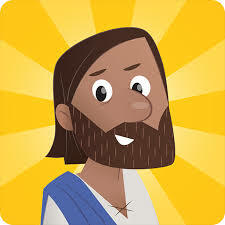 Specifically designed with children ages 4-10 in mind, the Bible App for Kids makes the Bible come to life with animation and activities that are fun yet powerful mechanisms for conveying the Biblical metanarrative in a way children can easily understand. This app is so well done that it will keep kids coming back again and again—especially as new stories are released monthly over the next two years. It’s been a long time coming, and we’re excited about the potential the mobile nature of the Bible App for Kids presents. It has the capability to take the Gospel to places where the printed Word cannot go. The Bible App for Kids throws the doors of possibility wide open for translations into many languages and because of the visual nature of the storytelling, it also reaches pre-literate audiences. Translations to other languages are already underway and planned for future release. We have a lot to celebrate this Thanksgiving with the release of the Bible App for Kids. Not only are we thankful for God’s Word, but we’re thankful for YouVersion’s success in celebrating its Bible App’s 100 millionth download in July. At OneHope, we are looking forward to reaching our billionth child with the Gospel in just a few months into 2014. The launch of this app is a celebration of two Kingdom-minded ministries combining the gifts, talents and favor the Lord has blessed us with. We are excited to see how this tool impacts the Kindgom in a mighty way on Thanksgiving Day as we anticipate a large number of downloads, but more importantly as we pray that the message of God’s story sinks deep into the hearts of every user and that they find their place in God’s story. This is a game changer. And one I’m really excited about.